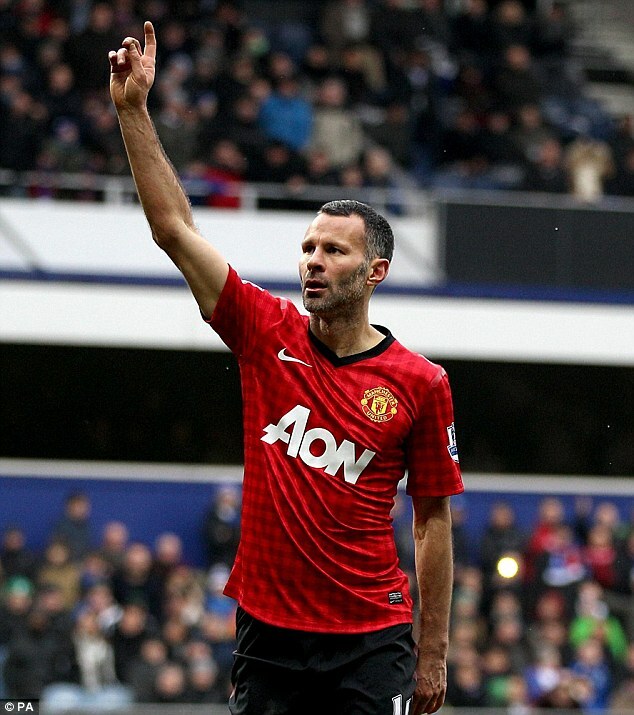 Manchester United veteran player, Ryan Giggs have being appointed a player - coach by manager David Moyes after after signing a one-year contract extension. Announcing the appointment, Moyes said: 'I'm delighted that Ryan has accepted the chance to become player/coach. His success and ability to adapt his game over a number of years gives him an unrivalled perspective on the modern game. In an interview with FA TV last week, Giggs, who attended the FIFA Under 20 World Cup in Turkey as part of his course, said: 'It'll be like starting all over again, it will be like being an apprentice again, learning things and making mistakes as you go along and just trying to better yourself as much as you can. 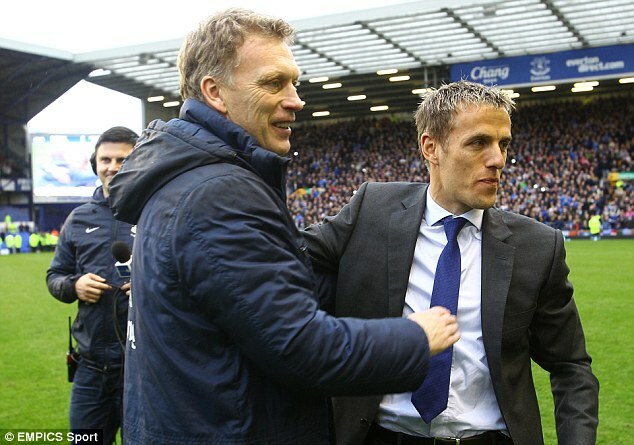 In related development, former Manchester United player, Phil Neville has returned to Old Trafford and will join his former boss, David Moyes ,as new first team coach. The former Everton Skipper arrived at Carrington training ground early this morning and he is expected to be announced as Moyes's latest backroom appointment alongside four former Everton colleagues in Chris Woods, Steve Round, Robbie Cooke and Jimmy Lumsden. Moyes took charge of his first training session at United's Carrington training ground today and Neville was thrust straight into action, along with Lumsden and Round, where he laid out the cones ahead of a running exercise. Thirty six year old, Neville, ended his 18-year playing career last month. But it was at Old Trafford where the ex-England defender made his name after emerging with the much-celebrated Class of ’92. He made over 250 appearances for the current Barclays Premier League champions before spending eight years at Goodison Park under Moyes. 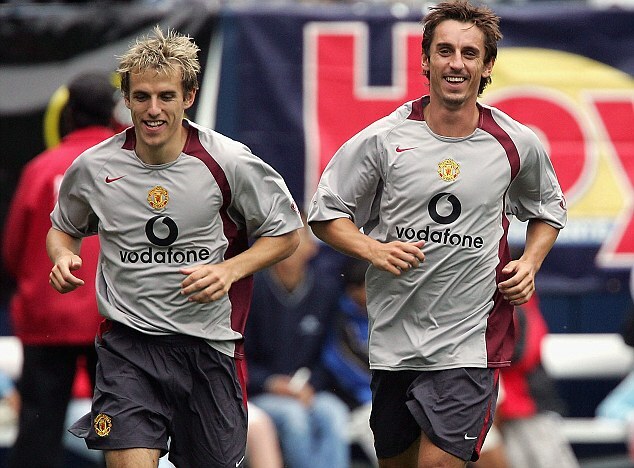 Neville, who was Everton’s captain from 2007, has been doing his coaching badges and holds the UEFA B Licence award. He completed his A Licence at St George's Park at the end of May, and despite other offers from within the game and the chance to pursue media activities, the lure of United proved impossible to resist. Neville was part of the England Under 21s' coaching staff during their disappointing showing in the European Championship in Israel this summer. 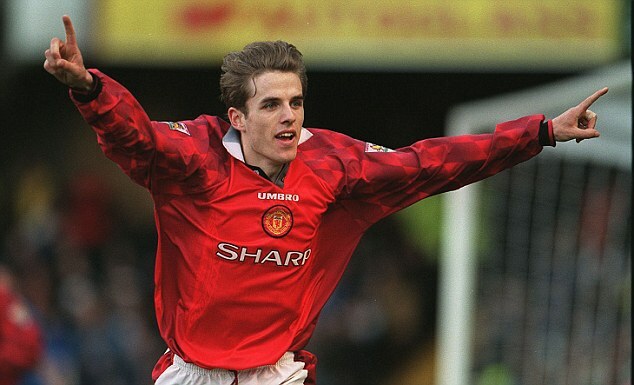 Former coach Sir Alex Ferguson handed Neville his Manchester United debut in 1995 in a 3-0 win over Manchester City. He went on to win six Premier League titles, three FA Cups and the Champions League before Moyes signed him at Everton in 2005 for £3.5million.